Interactive, and developed by Software Creations. 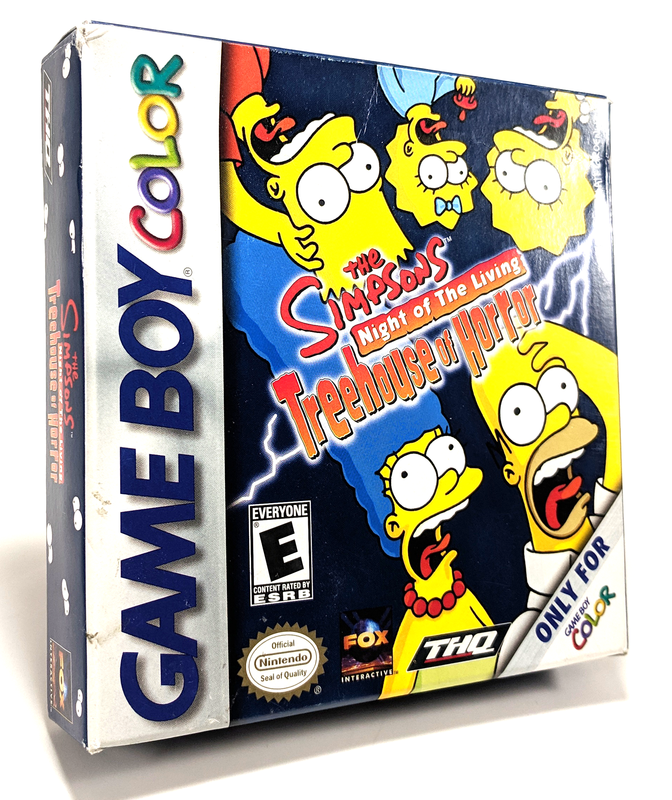 and each family member must defeat his or her nightmare to escape. Here you can toggle the game music, sound effects, and difficulty. The total number of accumulated points. 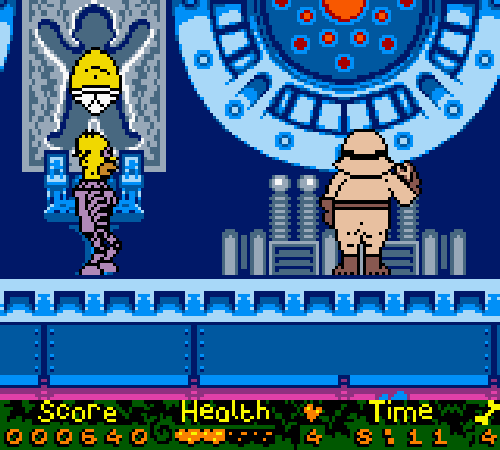 The weird yellow bar in the middle is the health meter. The number under that heart represents the number of remaining lives. Uh, the remaining time in a stage. will show what the objective is. This guide is based on Difficulty 1, which is the default difficulty. 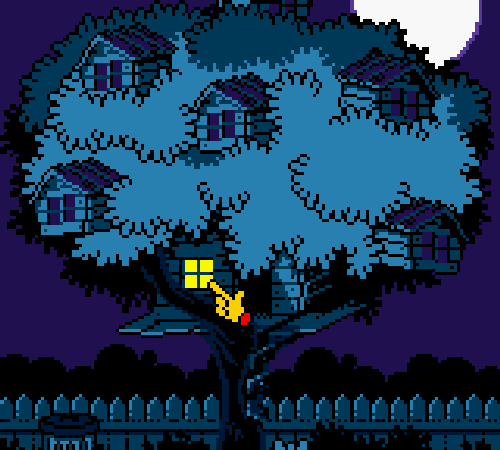 Based on: 'Bad Dream House' - Tree House of Horrors I.
have been sent to destroy you. start in the halls. You can shoot the vaccuums twice to kill them. gray fuse box. It will have several wires connected to it. as well. Pick it up and drop it in the fuse box to have two fuses set. donut always returns if you need health. them, but there's no point. fishes as you make any jumps. you'll reach a platform with a ladder leading up, and a blue key. the top, then go left. You'll find yourself at the ladder entrance. that some of the doors have lights. over the stove just jump. the fuse box, then go back to the first floor. red key. You now have a red key and a blue key. case you ever need health. 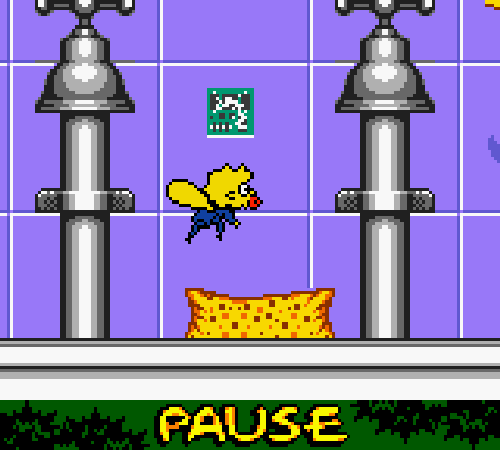 ignore the rat and get the final fuse that is next to the toilet. stairs (the yellow lock door). one that was wandering around in the dark rooms. Helper to finish the stage. Based on: 'Fly vs. Fly' - Tree House of Horrors VIII. a fly - and become a tiny Maggie-fly! re-uniting her with the rest of her body! and shut off the steam at the end. Fly forward to find the first circuit between two faucets. circuit. Avoid the wasp and get the circuit. circuit next to a plate of cherries. side. Watch out for the electric bursts that will come out of it. and hit the fourth switch. see them and hit the final switch at the end. Based on: 'Dial "Z" For Zombies' - Tree House of Horrors III. they turn her family into the "walking dead." the ten shots for each main zombie. going up to eventually see a green Apu. manure bag on the left side. going up along the left or right side. When you see a group of five sewers, prepare to fight zombie Moe. only Moe that will hit you is the one in the bottom-right corner. Just tap Left to avoid his shots. puddle shots hits him, it will only take two shots. Go straight up the middle after beating Moe to get a donut. eventually you'll see zombie Skinner. thing to do is continuously walk left and right, away from Skinner. be about four to five shots. Walk straight up the middle again to get another donut. house. 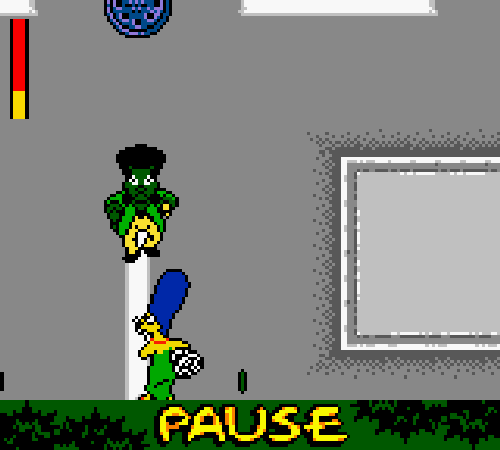 But first you have to kill zombie Krusty! 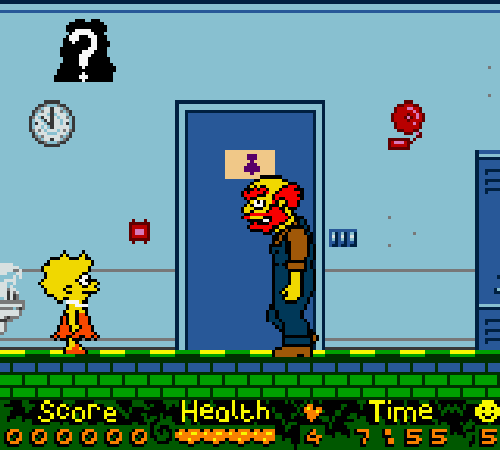 Walk through the door after Krusty is dead to end the stage. 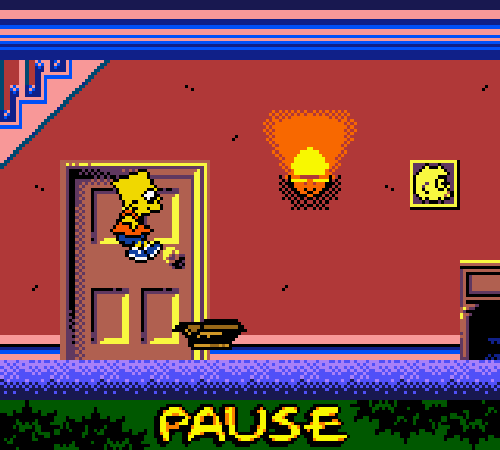 Based on: 'Bart Simpson's Dracula' - Tree House of Horrors IV. castle before sunset, otherwise it's lights out for Homer. quenches his thirst with Homer's blood! aren't many enemies. The major obstacles would be the jumps involved. platform because there is a brown statue that will fall from above. for the next gray platform and hop down onto it. left when you see the gate. not be reached with one jump. The brown platforms break away. into the next gate to reach the Castle. stand still and thrust the spears up in the air. with a jump, or by jumping into the gaps between pillars. around, so avoiding them should be easy enough. and make sure to grab the donuts that appear halfway and at the end. Once you get to the gate, enter to go back to Chamber #1.
gates will close, and you'll have to start over from the first one. pillar to get over the gap, then go into the gate. lever. Now it's back to the top and out of this room. next to a gate. Go in the gate. gate to reach Burns' Chamber. stop before you reach the ground floor. have to do is jump onto the brown shutters to release the sunlight. into a puff of old smoke, meaning the stage is completed. Based on: 'If I Only Had A Brain' - Tree House of Horrors II. before angry workers can destroy him! steel columns, and steam will shoot out right before they come down. you can search through more stuff. So climb down the ladder on the left, and avoid any enemies of course. the extinguisher at the end to find the bone. area and drop the bone at the surgery table to get the right arm. Go back to the surgery table and drop it off to have the left arm. path, avoiding any and all obstacles along the way. so get the bone and take it back to place in the left leg. and drop off this bone to get the torso. Based on: 'Nightmare Cafeteria' - Tree House of Horrors V.
staff. Don't get caught or you'll wind up on the menu, too! is a key it means you have the key for that cage. kids are Milhouse, Uter, Martin, Sherri, and Bart. a flat wall. It will not work if you are next to a chair, table, etc. for it and hopefully reach a door to escape. keep going and enter the first blue door. Milhouse key. Sherri is in this room, but you don't have her key yet. Go back to the hall. Head to the right and enter the next blue door. walk by, then leave this room. into the next blue door. the way. Enter the last door. Easy enough, just go to the left while avoiding the wasps. Go to the left, and avoid Ms. Hoover when you get near her desk. go all the way back to the hall. Go to the right and enter the next door. the cabinet to get the Martin key, then go back to the hall. Go to the right and avoid Mr. Largo, then go into the next blue door. last cabinet, near the door. You will get the Uter key. Go into the door on the far left, that auditorium. Go all the way to the right. go into the Uter door. the right. Once you're in here, walk to the right to find Uter's key. Unlock the cage to free Uter and beat this stage. 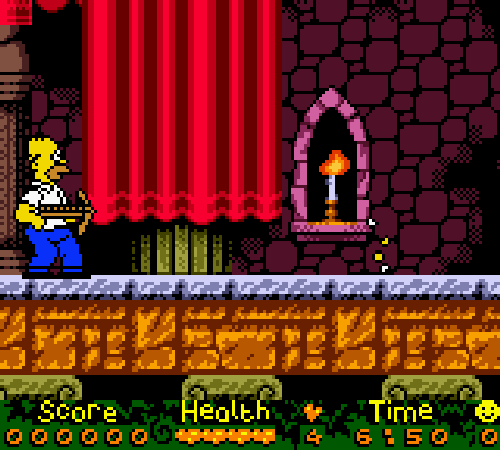 Based on: 'King Homer' - Tree House of Horrors III. the streets of Springfield in search of his true love. is about. All you have to do is destroy stuff and climb buildings. here are my playing tips for this stage. the tanks or jeeps have stopped. won't get damage from high jumps. There will be a donut about halfway through the stage, so pick it up! and keep in mind to HOLD DOWN TO BLOCK BULLETS. whole stage. It worked pretty well, actually. 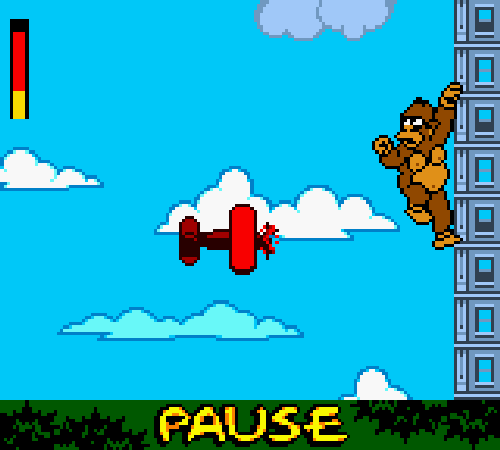 fight a red plane. The plane will have three attacks. the three bombs that will hit where the three red dots were. hit, but they will miss more often. to punch left just as the plane approaches. bombs will miss, and the gaps from the homing bombs are often nearby. From here just punch up or left to hit the plane whenever it is near. climb up to end the stage. Enjoy the rather odd (and short) ending. Nothing major, just fixed a mistake. just consider it a 1.0 again. 1. Matt Groening and his brilliant mind for creating The Simpsons. After 13 years it is still one of the best shows out there. 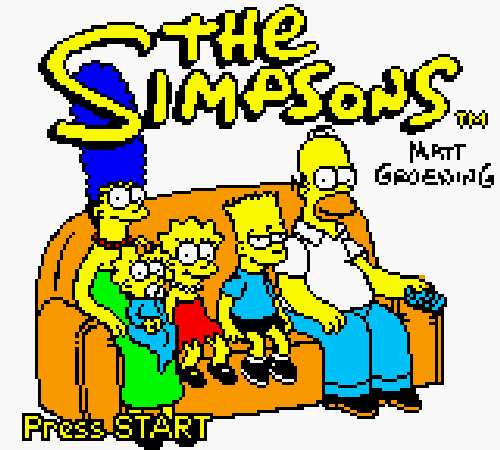 to write guides for Simpsons video games. 3. Gameshark.com for the Gameshark codes. 4. THQ, Fox Interactive, and Software Creations for creating the game.